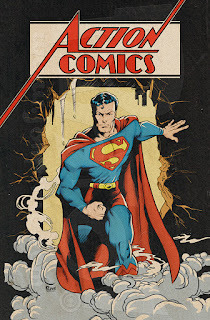 Today the 1000th issue of Action Comics, the one that started it all, is released. 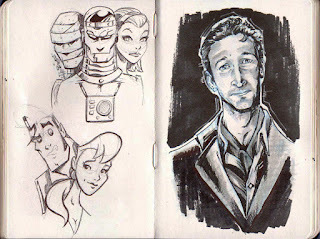 Obviously I have been a long time fan and once had dreams of being a comic book artist. I made this by scanning in my original pencil drawing and then digitally inking and coloring it. I played around a bit and even "mocked" up the logo and aged the paper leaving the "masking fluid" a brighter white like old comic pages look like now when you see them. The colored version has a dot tone pattern mixed in as well. I really enjoy making pictures like this. Happy 80th Anniversary Superman!! Thanks for everything. What happened to March 2018?? Well it happened. I missed posting last month and the streak has come to an end. What streak? The streak of posting every single month, at least once, every month for the past 10 years!! 10 YEARS!! The last time I missed a post was March of 2008. A lot has happened. Oh well, it was bound to happen sometime and I am really glad to have hit the 10 year mark.